Second thought: OK, kiddo, cool it. That is clearly some sort of shriveled vegetable. 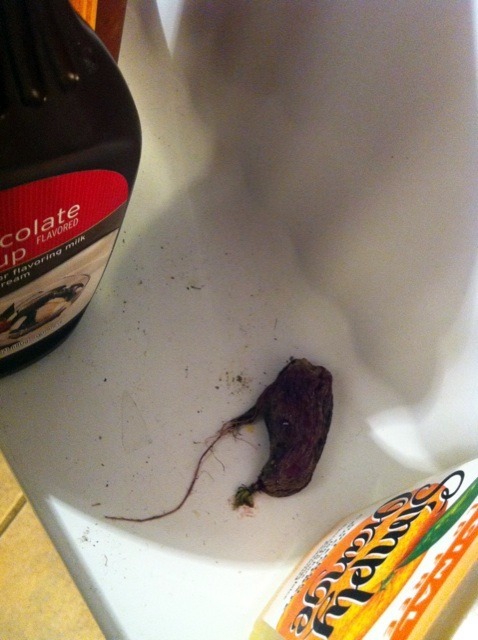 There are, of course, still serious questions yet to be addressed: What sort of vegetable was stuck in the door of my fridge? And for how long? And... oh, God, someone come throw it away for me, please.